Don’t believe me, just take a look at what comes up when you do a search for his name on google. What they don’t want you to know. Come on, who is this guy kidding, he’s trying to pass himself off as some kind of martyr. He claims the government and the big pharmaceutical companies want to silence him. Who are you kidding? Dude, everyone knows you’re a fraud…you have been peddling garbage on late night info-mercials forever. 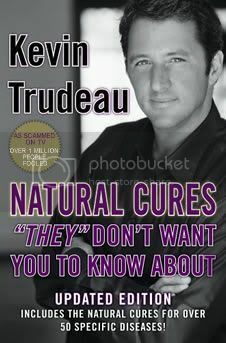 Are we to believe that with his one book, he has more cures than billions of dollars of research by real scientist in real drug companies? The truth is that he has even served time in federal prison for credit card fraud and even posed as a doctor in order to deposit fake checks. Just do a search on the FTC (federal trade commission) with his name …you get about 50 pages of crap. I really hate him. What a scumbag.